We are DJ Maguire & Associates Ltd T/a North Street Dental Care operating at 42 North Street,Lurgan, Craigavon, BT67 9AH. Occasionally, we may receive information from other providers who have been involved in providing your care. The data we collect may include your name and an email address, but depending on the level of engagement, it could be much more than that. This Privacy Notice describes the type of personal information we hold about you, why we hold it and what we do with it. Derek Maguire and Heidi Geddis are responsible for keeping secure the information about you that we hold. Those in the business who have access to your information include management staff, dentists and other dental professionals involved with your care and treatment, and the reception and administration staff responsible for the administration of the business. Our data protection officers, Derek Maguire and Heidi Geddis, ensure that the business complies with data protection requirements to ensure that we collect, use, store and dispose of your information responsibly. You can contact our data protection officers by email at Heidi@djmaguiredentists.co.uk or by phone on 028 3833 4116. We will ensure that all personal information supplied is held securely in accordance with the General Data Protection Regulation (Regulation (EU) 2016/679). We can only keep and use information for specific reasons set out in the law. If we want to keep and use information about your health, we can only do so in particular circumstances. Below, we describe the information we hold and why, and the lawful basis for collecting and using it. We hold personal information about you including your name, date of birth, national insurance number, NHS number, address, telephone number, email address and occupation. 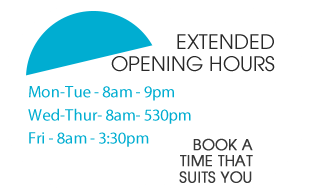 This information allows us to fulfil our contract with you to provide appointments. We will also use the information to send you reminders and recall appointments as we have a legitimate interest to ensure your continuing care and to make you aware of our services. Correspondence with you - Correspondence with you and other health professionals or institutions. We need to keep comprehensive and accurate personal data about our patients in order to provide you with safe and effective dental care. We also need to process personal data about you in order to provide registration and care under NHS arrangements and to ensure the proper management and administration of the NHS. To provide you with the dental care and treatment that you need, we require up-to date and accurate information about you. We will share your information with the NHS in connection with your dental treatment. We may contact you to conduct patient surveys or to find out if you are happy with the treatment you received for quality control purposes. We will seek your preference for how we contact you about your dental care. Our usual methods are by telephone, text, email or letter. If we wish to use your information for dental research or dental education, we will discuss this with you and seek your consent. Depending on the purpose and if possible, we will anonymise your information. If this is not possible we will inform you and discuss your options. 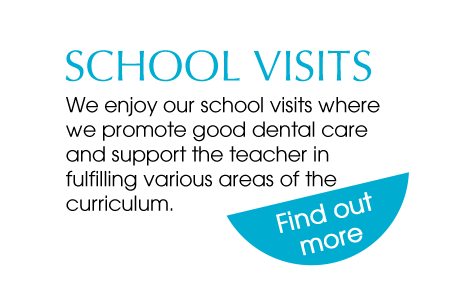 We may use your contact details to inform you of dental products and services available within our organisation. We have CCTV at the practice for the purposes of patient and staff safety (please see our policy for CCTV for further details). We will ensure that all personal information supplied to us is held securely in accordance with the General Data Protection Regulation (Regulation (EU) 2016/679). When you share your personal information with any company, you have a right to expect that information to be treated with total confidentiality. Your privacy is extremely important to us. We store your personal information securely on our practice computer system. Your information cannot be accessed by those who do not work in the business; only those working in the business have access to your information. They understand their legal responsibility to maintain confidentiality and follow company procedures to ensure this. We use high quality specialist dental software to record and use your personal information safely and effectively. Our computer system has a secure audit trail and we back-up information routinely. D.J. Maguire and Associates Ltd will not retain your personal information for longer than necessary. We will hold onto the information you provide either while your file is in existence, or as needed to be able to provide the services to you. We normally keep your records for 10 years after the date of your last visit to the Practice or until you reach the age of 27 years, whichever is the longer. At your request, we will delete non-essential information (for example some contact details) before the end of this period. If legally required or if it is reasonably necessary to meet regulatory requirements, resolve disputes, prevent fraud and abuse, or enforce our terms and conditions, we may also retain some of your information for a limited period of time as required, even after you have closed your file or it is no longer needed to provide the services to you. All requests should be made by email to our data protection officer at Heidi@djmaguiredentists.co.uk. Please note we are constantly reviewing how we process and protect data. Therefore, changes to our policy may occur at any time. We will endeavour to publicise any changes. Should you wish to receive a copy of the personal information we hold on you please contact our Data Protection Officer, at our practice address. If you have any concerns about how we use your information and you do not fee able to discuss it with your dentist or anyone at the practice, you should contact The Information Commissioner’s Office (ICO), Wycliffe House, Water Lane, Wilmslow, Cheshire SK9 5AF (0303 123 1113 or 01625 545745).